Sometimes it is nice to cut loose and have a drink or two. But depending on which drinks you order, you could be slurping down over 1,000 extra calories every time you are at the bar. If you want to enjoy your night without taking on too many extra calories, stay away from these six drinks. 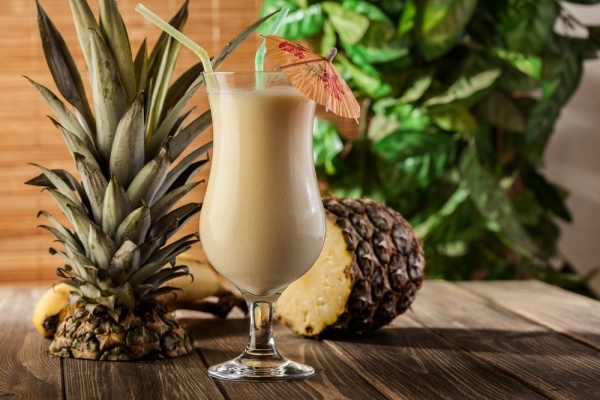 If you like pina coladas then you better like working out. This high-calorie drink is full of sugary mixers. You will intake 35 grams of sugar from just one 3-ounce serving. You will sling back a whopping 644 calories too. And what about those extra big servings at some places? Try not to think about it. Yikes! It has got fruit floating in it, so it must be safe, right? Wrong. It is not just a wine drink with fruit in it. It is also loaded with fruit juices, syrups, and sugar and that adds to the calorie count. The good news is that now that you know, you can ask the bartender to make it without adding any of the sweeteners. Or make it at home using white wine, sliced white peaches, and fresh raspberries and blackberries. Going out for Mexican with the girls and in the mood for a fiesta? 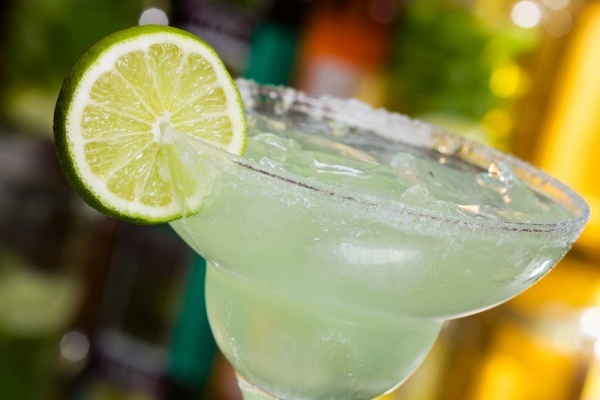 Along with the rich and filling cuisine, you will be taking in a whopping 500 to 700 calories per margarita, especially if it is frozen. So if you have 2 of those along with your dinner, do the math. That is way more calories than you need in one day! 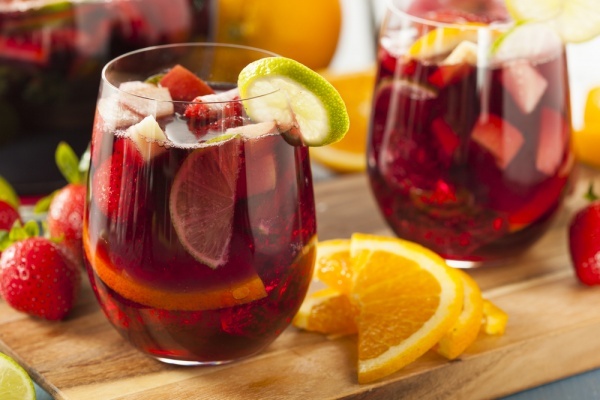 Sweet and fruity drinks, especially frozen ones, are definitely the biggest calorie offenders. Daiquiris are pretty much just liquid sugar topped off with alcohol. You will be pulling in a good 500 to 600 calories per daiquiri you consume. 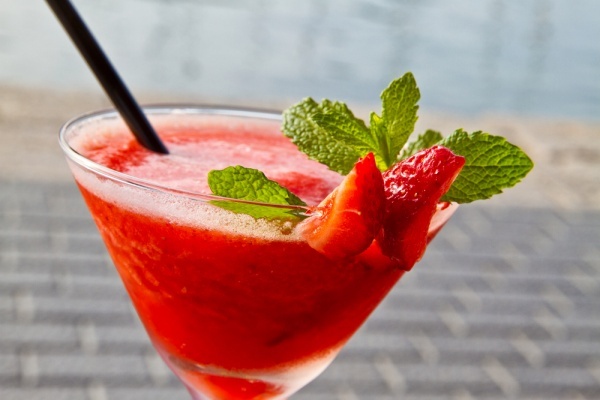 If you are really craving a frozen daiquiri, make one at home instead by using fresh, unsweetened strawberries with ice and rum only. Otherwise, remember you are drinking one of the highest calorie cocktails. 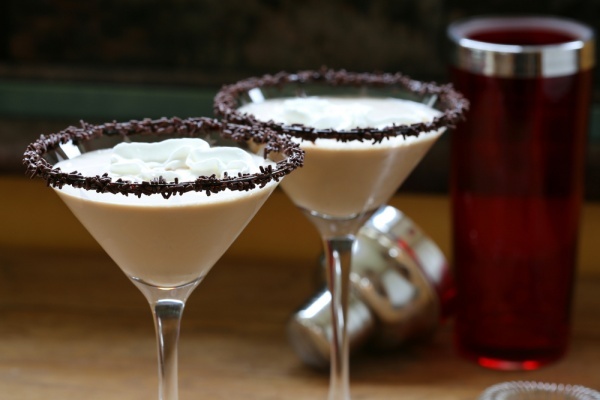 A traditional martini is a better bet than swilling down any of the flavored martini varieties. The extra sugar in fruity mixers and the cream and chocolate sweeteners of other varieties are the calorie equivalent to a piece of dessert at about 450 calories. You are much better off with a glass of wine. It seems so simple and refreshing, but it sure hides calories well behind its clear facade. It is the tonic water. 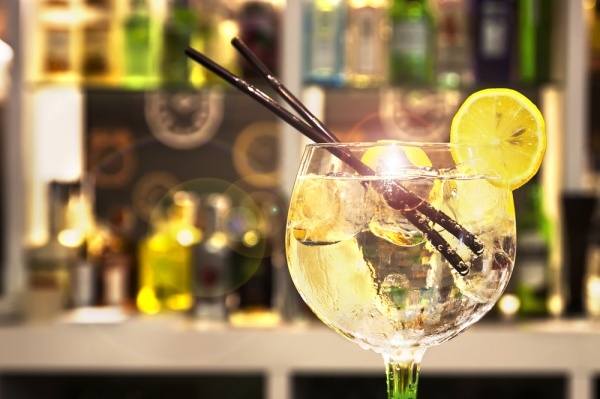 If you love gin and tonic, try making it with diet tonic water or club soda instead and use a splash of real lime or lemon to round it out. 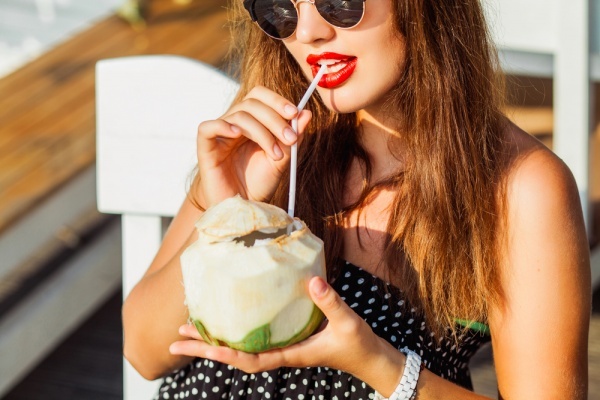 While one drink splurge here and there is no biggie, it is easy to see how one drink can turn into several and that can really pack on the pounds. Now that you know the biggest waistline wasters, choose wisely at the bar or forgo those skinny jeans!